What To Do When A Leased/Rental Car Is In An Accident? There are some advantages to leasing a vehicle rather than buying one. Leasing has become increasingly popular in the past couple years because it doesn’t force you to keep a car for ten years or to have to deal with certain repairs. A lease on a vehicle generally lasts between 2-4 years before it is returned. Leasing can be more affordable than paying for a car loan and provides the consumer with a new vehicle every couple of years. Depending on your lease agreement, you will have to pay for any damages to the vehicle once the lease is up. 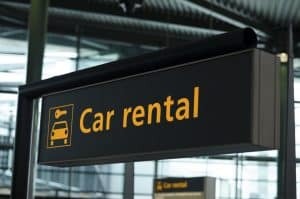 Renting a car is also another possible option if you need a temporary vehicle. In the event of a car accident, however, a leased or rented vehicle can be a liability. If you or a loved one is involved in an accident while driving a leased vehicle, your first concern should be for your safety and health. Most leases require you to have some car insurance on the leased vehicle and require you to inform the car dealership that you have been in an accident. Your leasing company could have specific requirements for how the repairs are done. For example, if something needs to be replaced, some companies require the replacement to be newer parts. If you do not consult with your leasing company, you could be subjected to additional financial penalties at the end of your lease. After an accident, the first steps are the same as far as making sure everyone is okay and calling for emergency assistance. After the scene has calmed down you will need to contact your car rental company and inform them of the accident. The rental company will let you know what to do next with the car. You will also need to look read your car insurance and any insurance that was connected to the rental car, either purchased by yourself or provided by the company. Sometimes the credit card you used to rent the vehicle will also provide added coverage. By checking your insurance, you will need to look out for “collision and comprehensive coverage,” which would cover an accident in most cases. Some types of insurance will have deductibles attached as well, which would come out of pocket. Before accepting a leased or rented vehicle under your care, make sure that you have the necessary insurance to cover car accidents. Otherwise, you could end up paying thousands of dollars on top of your fees. Also, be aware of your current car insurance and what it includes in terms of leasing or rental coverage.